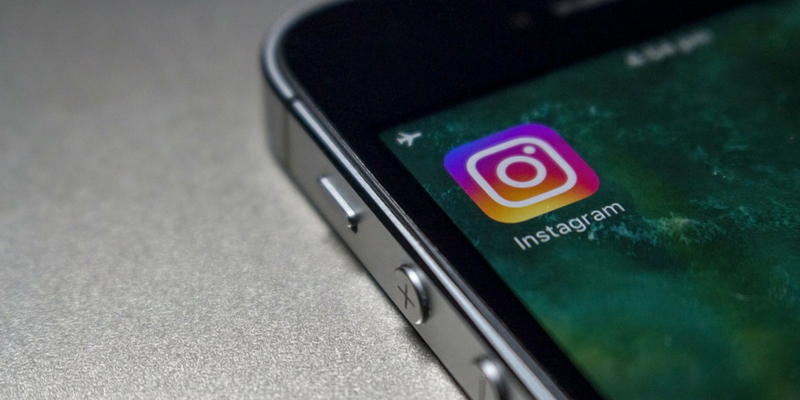 The latest social media statistics show growth of Instagram, social messaging bots, and video content. We joke around here that one thing that will always stay the same is that social media will always be changing. 2018 has been a remarkable example of that thus far, particularly in regards to platforms like Facebook. Every so often, we like to take a step back and look at what the data is telling us about where social media is heading and what that might mean for B2B marketers. Social Media Examiner’s 10th annual study, 2018 Social Media Marketing Industry Report, surveyed more than 5,700 marketers from across the world in a variety of industries — including manufacturing, industrial goods, and a variety of other B2B verticals. It offers a really comprehensive view of what’s going on in social media in our industry and beyond. I’ve pulled out 10 social media statistics from this report that I want to talk about in more depth. I think they say a lot about where social media is headed and what supply chain and logistics marketers should be paying attention to. 1) For 64% of marketers, social media management is just one of their job responsibilities. This one blows me away, knowing how much time and effort it takes to run a company’s social media program. Only about one-third (36%) of marketers manage social media full time. The other two-thirds have to do that on top of their other responsibilities. That’s crazy! Supply chain, it’s time to recognize how important social media is for your business and dedicate the appropriate resources to social media management. If you can’t afford to hire someone to do it full time, consider outsourcing this task. 2) Only 44% of marketers agree they can measure their social media ROI. Again, I’m kind of blown away. As a firm that relies on data and analytics to inform our processes and strategies, including social, it seems irresponsible to not know if your efforts are effective. Ok, on one hand, it’s actually really difficult to measure social media ROI. That’s in large part because so many of the benefits are intangible. You should really be thinking of social media investment in terms of potential, not dollars. 3) 75% of marketers have seen a decline in organic Facebook reach over the last year or don’t know if they have. A significant 52% of marketers surveyed said they saw their Facebook reach decline in the last year. Plus, 23% of marketers surveyed were unsure if it had or not — probably not a good sign. Yet 91% of B2B marketers are still using Facebook. Something’s not adding up for me here. As we’ve written about a lot recently, businesses need to be keeping a close eye on Facebook in light of all the recent changes. While we at Fronetics are not ready to write off Facebook for business completely yet, it’s time to start doing things a little differently. Here are four things your business should do in light of Facebook News Feed changes, for example. Stay tuned to the Fronetics blog as we continue to gather information and offer suggestions. 4) 87% of marketers rank more exposure for their businesses as the primary benefit of their social media efforts. Building brand awareness is a key benefit of social media use for business. The Social Media Examiner survey respondents said that increased traffic was the second major benefit, with 78% reporting positive results. These top two benefits have remained virtually unchanged for 4 years. That’s because, increasingly, more B2B buyers are using social media in their purchasing research. If your business is not on social media, you’re missing an opportunity to get your brand name in front of these buyers. 5) 78% of marketers who have used social media for 2 years or more report increased traffic to their websites. Also to note, 83% of those who have used social media for 5 or more years “strongly agree” or “agree” that traffic has increased to their websites because of social media activity. I wanted to pull these social media statistics out because they reinforce the time-honored truth that content marketing (including social media management) is a long-term solution — not an overnight fix. The benefits, especially in terms of metrics like traffic, grow exponentially over time. You have to allow time for prospects and customers to find you and for your audience to grow organically. Use your social media platforms as a means to distribute meaningful information to your target audience, to communicate with customers and prospects, and to share thought leadership, and it will pay off. 6) 66% of marketers are now using Instagram. In 2016 and 2017, we answered a lot of questions about Snapchat. Founder of the Content Marketing Institute Joe Pulizzi named Snapchat one of the next big trends in content marketing for 2017. Everyone thought this platform was going to be our new social media darling. Instead, Instagram has surpassed Twitter and LinkedIn to be the second-most-used social media platform. (It was fourth in 2017.) Use is up dramatically from 54% in 2017. Those are numbers worth paying attention to. We don’t have a lot of supply chain and logistics clients that currently use Instagram, but we know it to be a great platform for brand building, especially in terms of recruiting and developing corporate culture. Stay tuned for more on Instagram for the supply chain in the near future! 7) 63% of marketers use video content in their social media marketing. One content marketing trend everyone got right? The growing prevalence of video. Not only do nearly two-thirds of marketers use video content in their social media marketing, 23% use live video. What’s more, 77% plan to increase video content and 63% plan to increase live video in the next year. 8) 70% of marketers want to learn more about messenger bots. Here’s a big takeaway from the survey: Everyone’s talking about messenger bots/social messenger apps. While adoption is still pretty low (only 15% are using Facebook messenger bots now), 51% of survey respondents plan to include them in future marketing. It’s time to start reading up on social marketing automation tools like chatbots and social messenger apps. 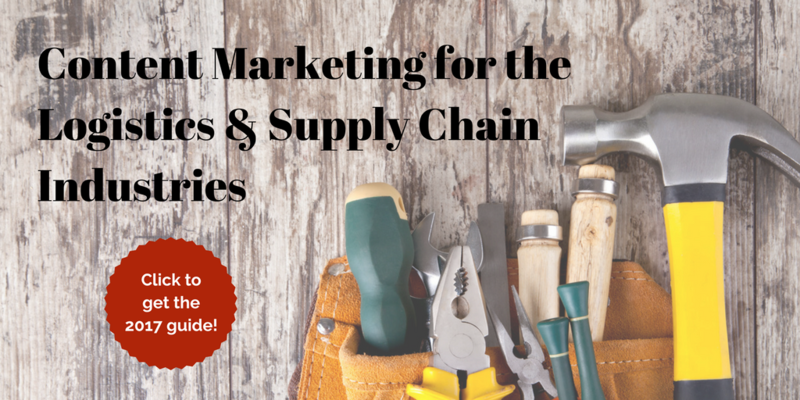 We’ve got a lot of information about these things scheduled on our blog in the next few months, so keep coming back for more information on how these tools apply to supply chain and logistics marketing. 9) 39% of marketers are working with influencers. Influencer marketing is another trend we’ve been talking about lately. It makes sense: Buyers value the opinions of peers and colleagues. In fact, B2B buyers rank it among their top three resources for information. And, in general, 82% of Americans seek recommendations when making a purchase of any kind. Here’s my original post on influencer marketing for the supply chain. Keep in mind, influencers can be your executives, employee brand ambassadors, and any other experts and thought leaders associated with your brand. For some more information, start with these 3 Tips for Creating an Influencer Marketing Strategy for the Supply Chain. 10) Only 21% of B2B marketers are using LinkedIn ads. Social media advertising is another huge trend right now. Yet, this social media statistic tells an interesting story. Though LinkedIn is considered the business social media network, less than one-fourth of B2B marketers are using it to advertise. Compare that to 66% of B2B marketers that use Facebook ads. There are many reasons for this, of course. LinkedIn advertising is quite expensive, whereas Facebook advertising is relatively inexpensive, for one. But, as Facebook continues to elude businesses, might this be an opportunity to rethink this strategy? If you’re interested, I recommend reading the whole 44-page report from Social Media Examiner. There are a ton of really interesting social media statistics that offer great insight into how marketers are using social media and how it’s changing — both over the the last few years and in the short-term.